Today I’m pleased to formally introduce the amazingly talented Brooke Fedigan of Be Fed Again blog as the new Food Contributor for Interiors by Jacquin. Brooke will share one of her many well-executed recipes with us once a month. So, since you’ll be hearing a lot more from Brooke, I thought it would be proper to give her a full introduction! 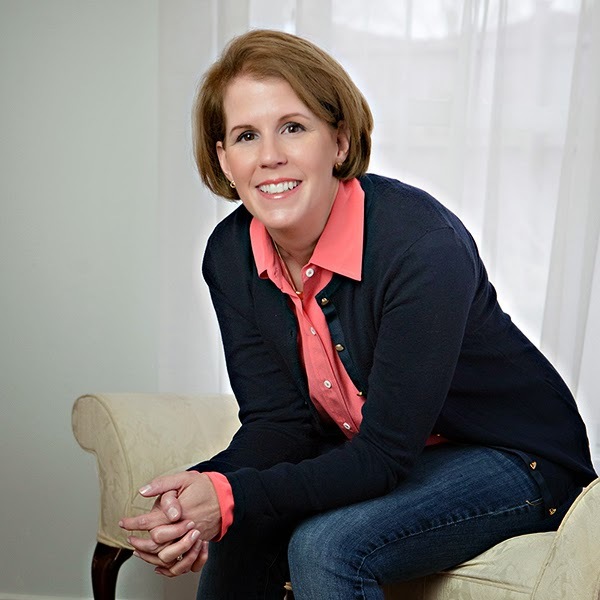 My name is Brooke Fedigan, and I blog over at Be Fed Again. 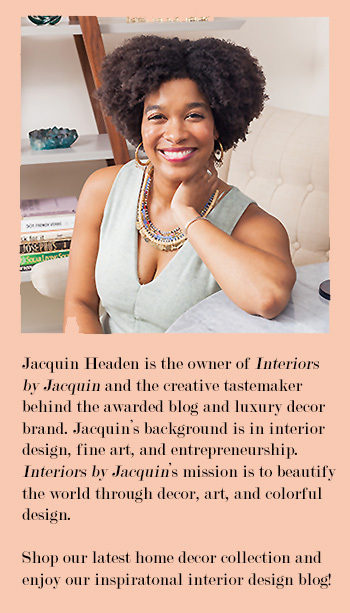 I am so excited to be working with my friend Jacquin, and posting as a Food Contributor for Interiors by Jacquin. I cannot wait to share with everyone some of my favorite recipes each month! I have always dreamed of living in an old farmhouse. I love the character of them, and the thought of refurbishing one is an opportunity that I relish. I consider myself pretty handy. I am relatively versed on many domestic aspects, and I love preserving all things old, and truly appreciate the heritage. 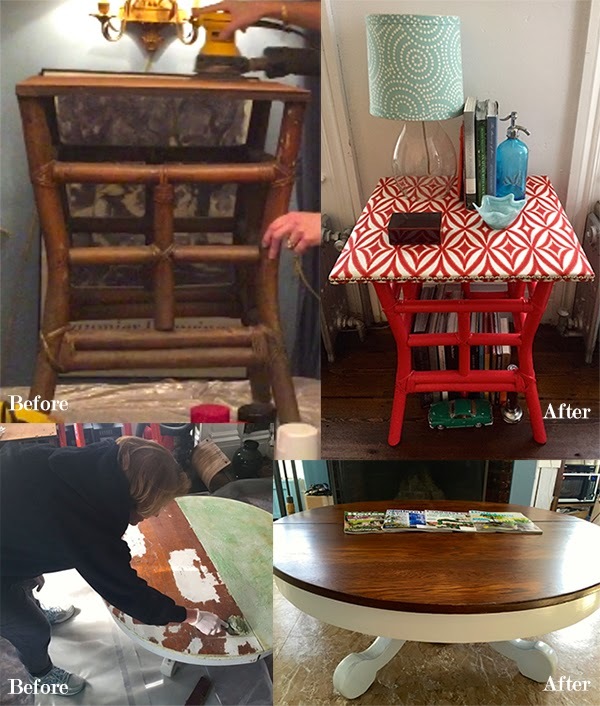 Below is a taste of two of my upcycling furniture projects that I feature on Be Fed Again. Cooking is also my passion. I am happy to spend hours working on a recipe until it is just right, and share with everyone to enjoy. 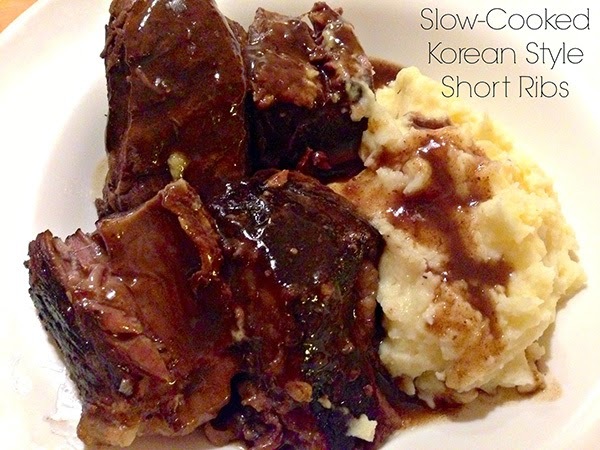 Put short ribs in the bowl of a slow cooker. Combine first 7 ingredients in a bowl, then pour over short ribs. Add the water. Cover, and cook on high for 3 1/2 hours. Stir ribs, then cook on low for 3 hours. Remove ribs and put on a plate. Cover with aluminum foil. Spoon 2 cups pan juices in a clear glass measuring container (or a fat separator if you have one). Wait for fat to rise to the top and discard as much fat as possible. Add 1 Tablespoon of cornstarch and whisk to combine. Pour gravy into sauce pan and heat, stirring constantly until thickened, 2-3 minutes. Pour gravy over short ribs and enjoy. To see more of Brooke’s home renovation transformation, be sure to visit Be Fed Again and don’t miss her awesome Quick Tip Friday segment weekly. Want to try another of Brooke’s recipes? Check out these orange-cranberry scones!